On Tuesday 28th November, the sun was shining as we opened our gates and welcomed guests to our VIP launch event. There was an undeniable excitement in the air. In the weeks leading up to the launch we had worked tirelessly alongside our incredible team, to ensure all who attended were treated to a day that would leave a lasting impression and showcase Orchards at Spring Vale Farm in all its glory. 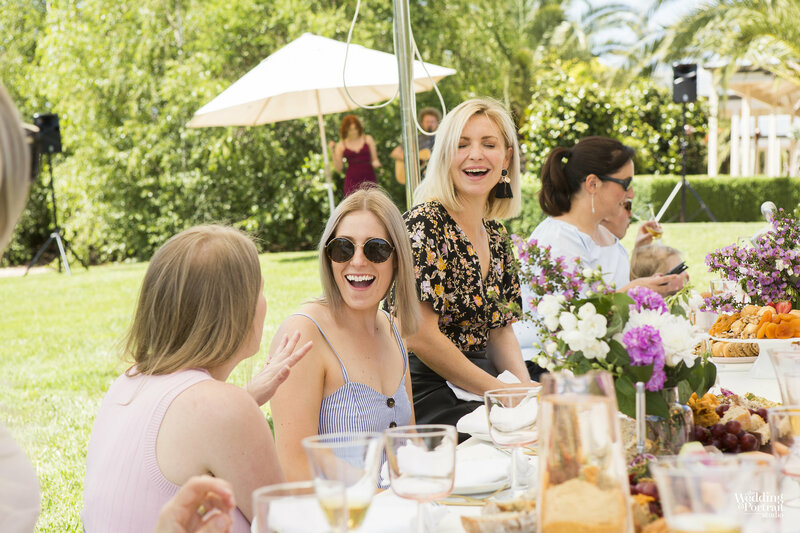 As live music from The Brentwood duo filtered through the gardens, our guests mingled while sipping on our home grown, award winning 321 Methode Traditionnelle Cuvee cider. Our brunch was styled beautifully by pop-up-picnic business Honour With Fete and we had so many comments about how beautiful it looked. A magnificent paella lunch was created by our very talented local chef, Peter Ford whose incredible talent is recognised throughout Victoria. We were also lucky enough to have the well-known Lamana Patisserie supply us with some of their cakes and desserts. These were set on a pretty dessert table in the secret garden where guests enjoyed the afternoon sun and sweet treats. Throughout the day we conducted tours of the property and spent time chatting to our guests. We had a mix of industry professionals attend including wedding planners, stylists, suppliers and social media influencers. The feedback was incredible and left us without doubt that our event was not only a success but also a wonderful opportunity to connect with those that know the industry best. As business owners, we have poured our hearts into creating something we hope others love as much as we do, so the feedback we received on the day was priceless. Many comments were made about the manicured gardens, the various different locations on the property for events and the rolling hills that would make a beautiful backdrop and create magical photographs for any wedding. 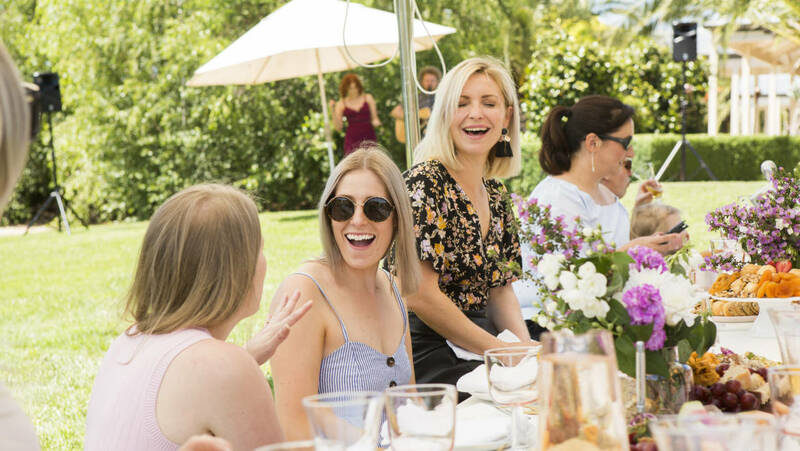 Lauren from The Vibe Tribe managed the event and we were lucky enough to have some of the industry’s best suppliers work with us on the day which meant guests were able to see exactly what could be done with the gardens and terrace for events. With the first of our bookings coming up for 2018 we cannot wait to see all the beautiful couples celebrate their love at Orchards. We look forward to providing them with an unforgettable day and everlasting memories.